Straight from the awkward department, former Indianapolis Colts head coach and Super Bowl champion Tony Dungy made some controversial remarks on Monday regarding Michael Sam – the NFL’s first openly gay player. Dungy told the Tampa Times that he would not have drafted defensive end Michael Sam, who will garner a tremendous amount of attention in hopes of making the St. Louis Rams after the team made him a seventh round selection in the 2014 NFL Draft. “I wouldn’t have taken him,’’ said former Bucs and Colts coach Tony Dungy, now an analyst for NBC. “Not because I don’t believe Michael Sam should have a chance to play, but I wouldn’t want to deal with all of it. In other news, Dungy was the same guy who supported current Jets quarterback Michael Vick when he left prison and joined the Philadelphia Eagles. Michael Vick out of prison or Michael Sam. I agree with Dungy here. It is not a hate or homophobia, it is a common sense thing. It is a shame that Sam is going to be a distraction because it shouldn’t matter, but the fact of the matter is, it does and it will draw a lot of attention. From what people have said about him, he is not a top tier player, or he would have been taken higher in the draft. So to say that a huge media distraction is not worth dealing makes total sense to me. Vick had a lot of talent and a huge upside so I don’t know if you can compare the two. Michael Sam is a really courageous guy and kudos to what he is doing for everyone else in his community. But the fact of the matter is not everyone is going to feel like it is a distraction that they are willing to deal with on their team. Ugh, I don’t know. I disagree about the Vick point. There was zero need to put him on the roster. He basically got the starting nod a year later because of attrition. So, Dungy looks a bit hypocritical in the matter because the Vick signing was very polarizing at the time. Luckily for the Eagles, Vick didn’t play a major role in what happened with the team that year so he wasn’t THAT big of a distraction. Just bringing him into the locker room was risky business. 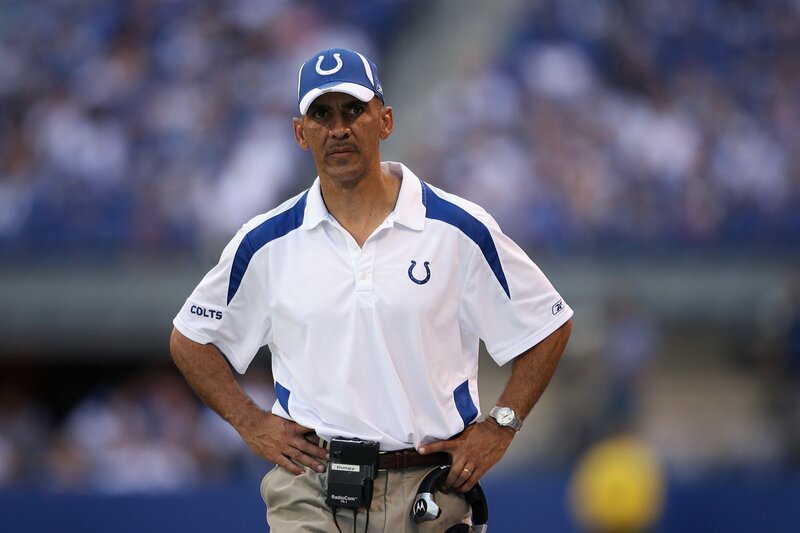 In a vacuum, Dungy’s point has some merit. Having a seventh round draft pick with a reality show is weird. Good for St. Louis that it was cancelled. Ultimately though, the bigger issue? I’m not sure Michael Sam is going to be in the league in three years because of his skill level.